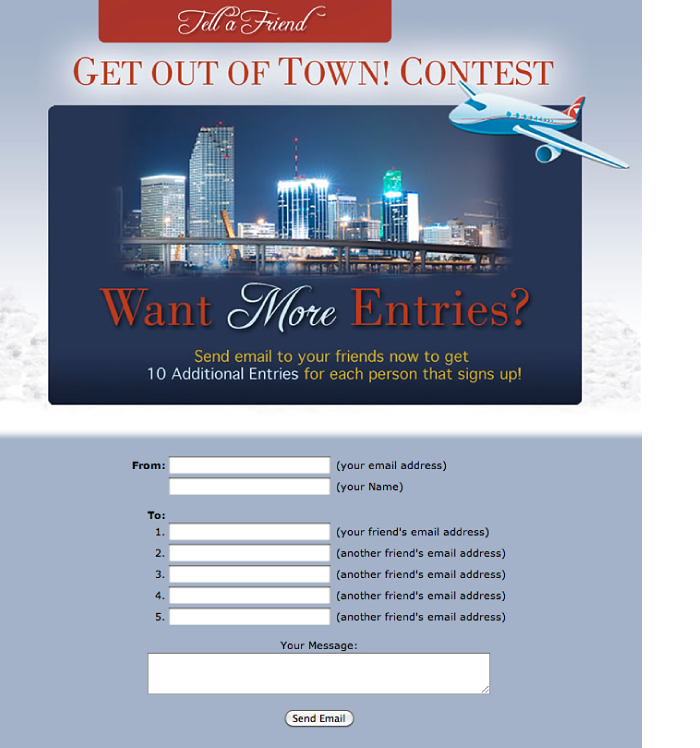 An agency in California that does sweepstakes and contest sites for movie studios contracted us to do a few of the contest graphics. 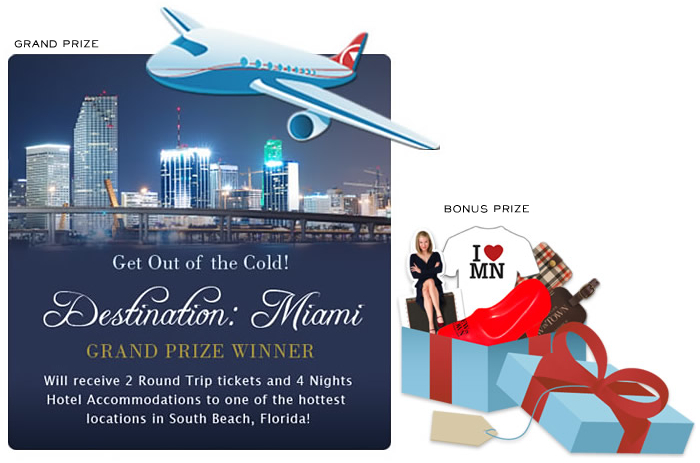 This is a contest for the movie New in Town starring Renee Zellweger and Harry Connick Jr. that offered a trip to warm and sunny Miami as an antidote to the cold weather. We did the graphics here – the agency did the development of these sites.